The chairman of the House Homeland Security Committee said Sunday that he didn't see a legitimate way for the administration to implement a possible proposal to release undocumented immigrants into "sanctuary cities." 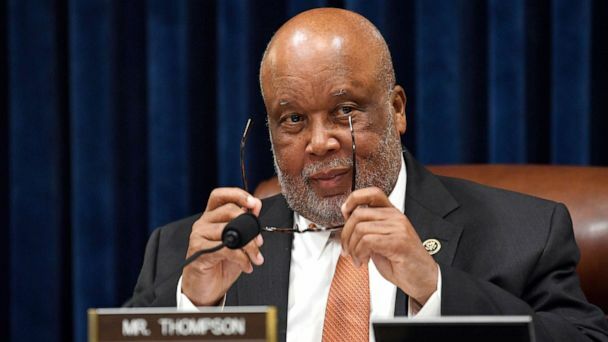 "No, I don't see a legal way to do this," Rep. Bennie Thompson, D-Miss., told ABC News Chief Anchor George Stephanopoulos. Thompson also accused President Donald Trump of having "manufactured chaos" at the border with his immigration policies. "Before Donald Trump took office, we had a situation that was manageable," said Thompson. "We had spikes, but it also went down, but what we have now is a constant pushing of the system so that it doesn't work." In March, more than 100,000 undocumented migrants were stopped attempting to cross the southern border, both legally through ports of entry and illegally between them, according to statistics released by Customs and Border Protection (CBP). "Today, 60% of apprehensions along the Southwest border are family units and unaccompanied children, made up predominantly of individuals from Guatemala, Honduras and El Salvador," CBP wrote in a press release. Deputy CBP Commissioner Robert Perez added that the agency was "experiencing a system-wide emergency in our processing and holding facilities." Trump tweeted Saturday about the "sanctuary cities" plan, claiming, without citing any evidence, that the federal government "has the absolute legal right" to transfer undocumented immigrants to these jurisdictions after they are released from detention. On the question of legality, White House Press Secretary Sarah Sanders told Stephanopoulos in an earlier interview on "This Week" that the administration is "looking to see if there are options that make it possible and doing a full and thorough and extensive review." So-called sanctuary cities -- San Francisco, Chicago and New York are among those informally considered as such -- do not cooperate with the federal government in complying with Immigration and Customs Enforcement (ICE) requests. The Washington Post broke the story about the Trump administration's plan on Thursday, reporting it had been considered twice in the past six months, which ABC News confirmed. Thompson responded to the news in a statement, writing that Trump's "reckless immigration agenda is not about keeping the country safe, but about partisan politics and wantonly inflicting cruelty." While a White House official had told ABC News that the plan "was just a suggestion that was floated and rejected," the president contradicted that on Friday, tweeting that there was in fact a plan still being considered to transfer undocumented immigrants to "sanctuary cities." "The asylum laws are absolutely insane. They come up. In many cases, they're rough gang members," Trump told reporters on Friday. "So we are looking at the possibility -- strongly looking at it, to be honest with you." In her interview on "This Week," Sanders said Democrats need to "step up and help the president fix the laws," saying that if they did so, "this all could go away." Thompson said on Sunday that Democrats were ready to "sit down and talk," but added that they "won't be lectured to by the president." "He can't decide 'I'm not going to talk to Speaker Pelosi, I'm not going to talk to Chairman Nadler, I'm not going to talk to Bennie Thompson, I'm going to talk to somebody else.' That's not how it plays. Democrats elected us as leaders, and we're the ones to expect -- that are expected to go forward with this." When asked by Stephanopoulos if the president was faithfully executing U.S. law, Thompson responded that he thinks Trump has done "a number of things that belittle the office of the presidency." "I have a grandson. I almost have to send him out the room when the president comes on TV, because I don't know what's going to come out of his mouth," he said.